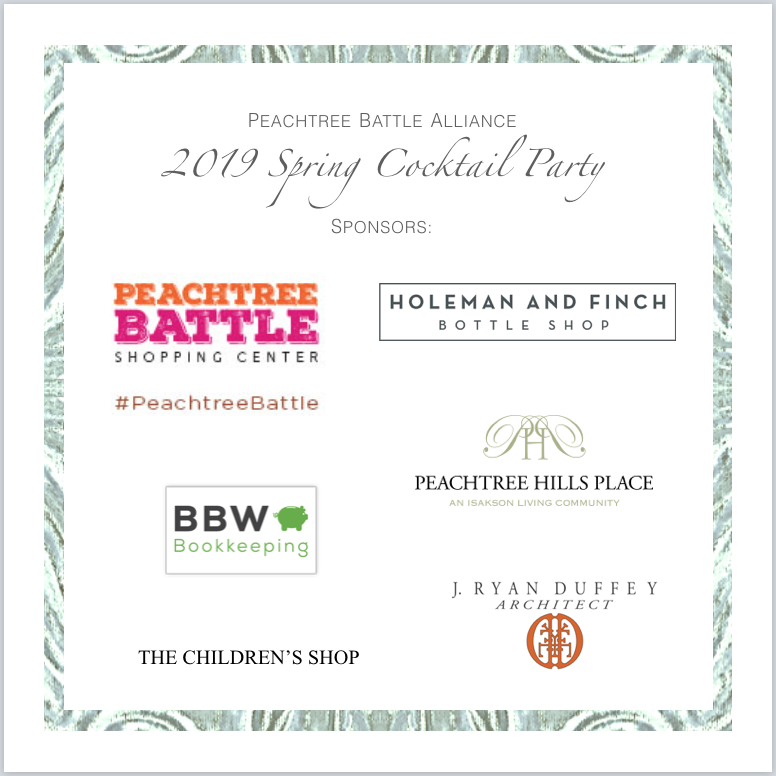 Our Annual Spring Cocktail Party is on May 10th! 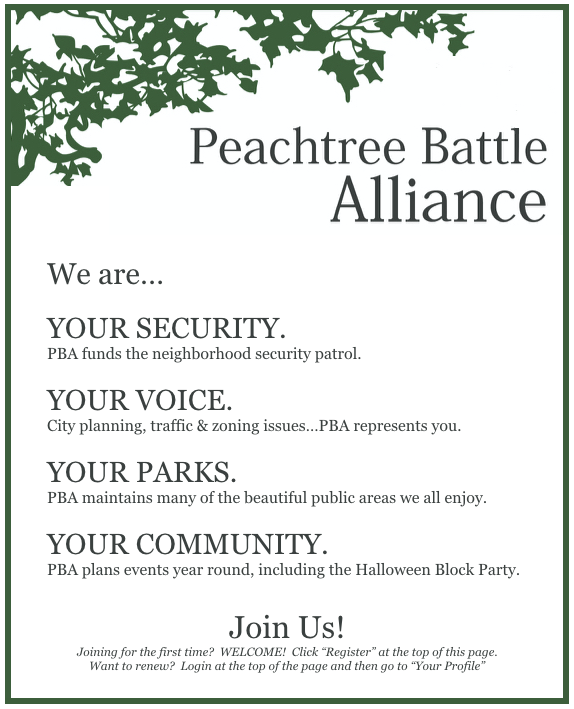 The Peachtree Battle Alliance (PBA) is a non-profit civic association representing the interests of our neighborhood which includes over 580 households. The PBA is made up of your neighbors who volunteer to work on behalf of the neighborhood. If you have a new neighbor, let us know! We want to welcome them!